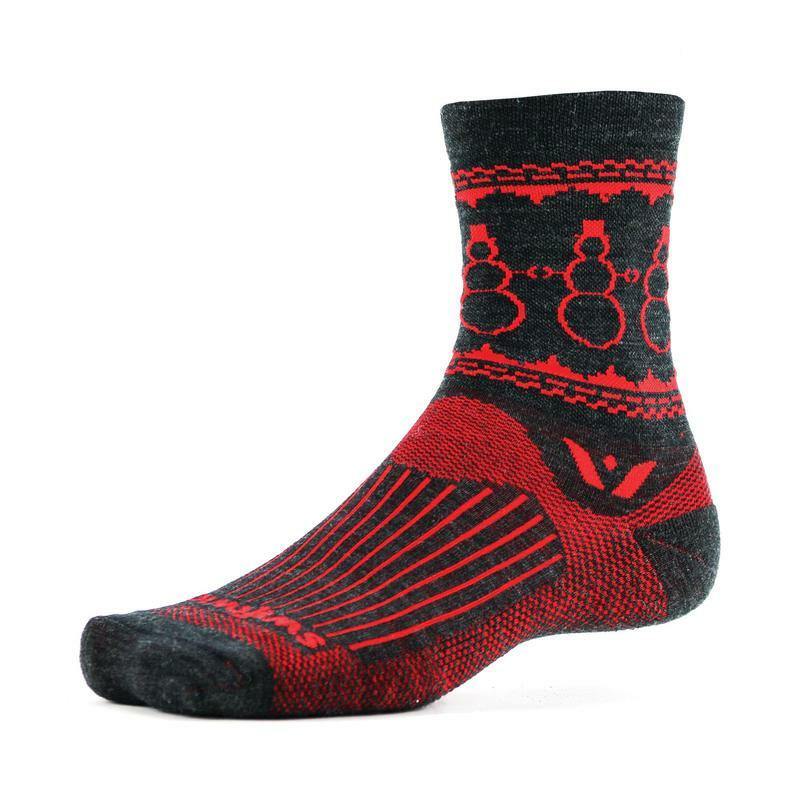 Julie is loving the fun holiday socks from Swiftwick. Made of natural Merino Wool, they wick moisture and regulate temperature when out running or riding and also look great at your holiday parties. To have a great ski experience, you gotta have the right wax on your skis. Joe suggests making it easier by getting the Swix T73 Performance Waxing Iron. This iron heats up quickly and evenly and has a dial for accurate temperature control. It's unique design ensures you get the wax where you need it without any waste. Dave likes to look good all winter. That's why he sports the Methow Cycle & Sport branded knit hat. They come in several colors so you can get the one the matches your winter jacket just right. If you're looking for affordable and high performance optics for the runner or cyclist in your life, Dave suggests you check out the Tifosi Swank & Swick line of sunglasses. They're comfortable and lightweight, and available in lots of different colors and lens choices. Keeping your chain lubed extends the life of your components and gives you a smoother, more efficient ride. Shawn suggests putting ProLink Chain Lube makes a great gift for your favorite cyclist. At last, you can wear performance clothing without looking like a bike geek. Mike says check out the Club Ride Shaka Flannel shirt. It looks like street clothes but has technical fabric to wick the sweat off your body, making it great for wearing around town or going for a ride. Jane and her friends like to bike and they also like to accessorize. You can do both with the Mountain Bike Necklace from Melissa Osgood Studio. Chuck thinks you might be barking up the wrong tree if you're not keeping your head warm this winter with one of the cool new Methow Cycle & Sport hats. They look good, especially on me.